The presence of numerous roof pendants, stoped blocks and discordant intrusive contacts suggests that magmatic stoping was a widespread, large-scale process during the final construction of the Central Bohemian Plutonic Complex, Bohemian Massif. The measured total length of the discordant contacts that cut off the regional cleavage and were presumably formed by stoping corresponds to about half of all contacts with the upper-crustal host rocks. In addition, at least some of the straight, cleavage-parallel intrusive contacts may also have recorded complex intrusive histories ending with piecemeal stoping of thin cleavage-bounded host rock blocks into the magma chamber. Based on the above, we argue that the fast strain rates required for emplacement of large plutons of the Central Bohemian Plutonic Complex into brittle upper crustal host rocks over relatively short-time span could not have been accommodated entirely by slow ductile flow or slip along faults. Instead, the emplacement was largely accommodated by much faster thermal cracking and extensive stoping independent of regional tectonic deformation. 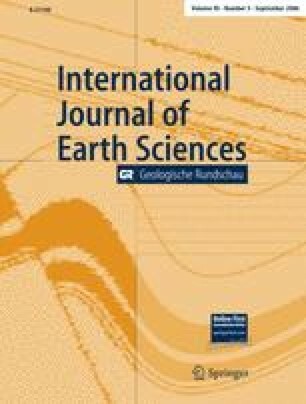 Finally, we emphasize that magmatic stoping may significantly modify the preserved structural patterns around plutons, may operate as an important mechanism of final construction of upper-crustal plutons and thus may contribute to vertical recycling and downward transport of crustal material within the magma plumbing systems in the crust. Thorough reviews by Pierre Barbey and Vojtěch Janoušek significantly helped to improve the manuscript and are gratefully acknowledged. In particular, we wish to thank Vojtěch Janoušek for his numerous comments, thoughtful suggestions and painstaking review of the original manuscript. We also thank Scott Paterson and Geoffrey Pignotta for many discussions on plutons and magmatic stoping, their work on stoping in the Sierra Nevada has been a great inspiration for our research. The Czech National Grant Agency (GAČR) is acknowledged for financial support through the Grant No. 205/02/0514 (to F. V. Holub).